Our planet’s population is growing each year and is fast approaching eight billion mark. Our climate is changing due to carbon footprint, which influences all aspects of our lives. As such, widespread concern whether natural resources which supply water, food, and energy for people will be sufficient enough to provide all the necessary means for life is well-grounded and timely. In recent decades, many people—including scientists, researchers, and public figures—have voiced their worries regarding the future of our planet and insisted that we must develop new policies which would stress the necessity of sustainable growth and development. The idea that natural resources will get scarce as population grows is not new. One of the most famous people who brought it to everyone’s attention was the Reverend Thomas Robert Malthus (1766-1834), an English scholar, cleric, and author. In his seminal work An Essay on the Principle of Population, he argued that while population grew geometrically, food supply grew arithmetically; thus, in the future, food supply would not be able to keep up with people’s needs. His work, while provoking a lot of criticism, nevertheless initiated vigorous scholastic debate for years to come and gave rise to many works devoted to the subject of population growth and its economic consequences. 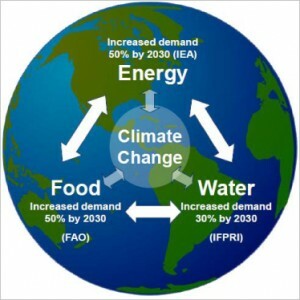 In recent years, the concept of water-food-energy nexus introduces by Stockholm Environment Institute and supported by such renowned organizations as Food and Agriculture Organization of the United Nations, International Food Policy Research Institute, Stockholm International Institute, World Business Council for Sustainable Development and others, steadily gained in popularity. To put it briefly, the nexus concept promotes integrated approach to securing water, food, and energy supplies across the globe. While it might seem that water, food, and energy belong to separate sectors, they are much more interconnected than previously imagined. As a result, the disturbance in one of the sectors will inevitably result in disturbances in the other two, which will lead to catastrophic consequences all over the world. As such, concerted efforts should be made in managing, developing, and governing various areas of water, food, and energy sectors by all world countries.Despite all the progress the humanity has achieved over the centuries, 550 million people in Asia and Pacific still do not have enough food; more than 600 million people in the world have no access to electricity; and about 55 percent of world population does not have access to clean and safe drinking water. At the same time, it is obvious that natural resources are not limitless and should be managed in a most efficient and productive manner, should not be overexploited, and should be sustainable. 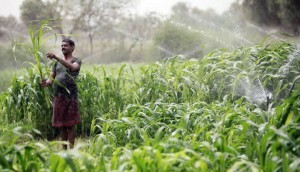 Consequently, water-food-energy nexus approach offers a wide variety of policies to achieve such an end. 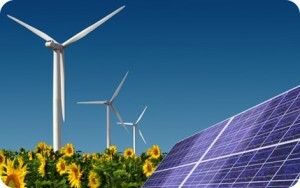 For example, these policies include an active promotion of green economy principles, increase of the productivity of various resources, use of waste as a resource in multi-use systems, integration of poverty alleviation and green growth, and stimulation of sustainable development through economic incentives. The need to build sustainable and green world economy is pressing. As such, people at all levels— be it individual, business, or country—must take steps to secure a future for our children.